Sixty-three games enter; only one can emerge victorious. This year I decided to do things a little differently and go through and rank all 63 games released in 2010 that I’ve tried from top to bottom. I simply compared them relative to each other and determined the relative order in which I would generally desire to play them. This is of course fairly artificial because I’m comparing three-hour apples to twenty-minute oranges, but such is life. In addition to ranking the games from 1st through 63rd, I’ve also grouped the games into seven categories with general descriptors of my feelings toward that grouping. On the BoardGameGeek scale these seven categories correspond roughly to the ratings 9 through 3 if that helps situate your thinking, although note that the categories don’t track precisely to BGG ratings. Originally I thought that this would be a short summary with a brief word or two on each game, but of course the story grew in the telling, becoming a bit of a behemoth. If you’d prefer something like I’ve more traditionally done last year or the year before then I suppose you could just read the first five game entries below and walk away with my winner and other top nominees. But it was a year with a wide range of games in my mind and so a fitting year to explore and revisit not only my favorites but also down through the middle of the pack to the bottom of the barrel. And so here are the 63 games from 2010 that I’ve tried, with a bit of an explanation on why they did or did not resonate with me, which will hopefully help you decide whether any given game might be your cup of tea and worth investigating further. GOLD MEDAL: The first category is not a particularly large block of games – in fact it’s just one game. The best game of 2010. Or more accurately my personal favorite game of 2010, given that my view can’t help but be subjective (as I’ve already conceded in my piece on Cause and Effect). This category includes the game from 2010 that I would call excellent, fantastic, and wonderful. How’s that for three words when one would do? 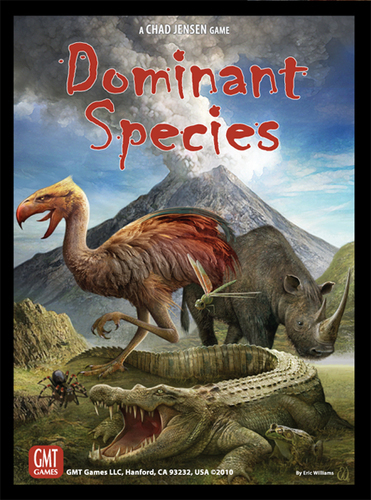 Dominant Species– Chad Jensen’s Dominant Species, published by GMT Games, is a game that feels like it was designed with me particularly in mind. It piles an area majority mechanic on top of another layer of area majority, with a healthy serving of worker placement, and a dash of variable player powers, to serve up a thoroughly unique blend of awesome. As a sucker for anything that uniquely implements area majority, whether it be Moon & Weissblum’s cake-cutting in San Marco, Dorn’s breadcrumbs in Louis XIV, or Dorra’s beautiful simplicity in Kreta, this game was love at first sight. Fortunately after 9 plays, the love affair has not waned whatsoever. I’m still as eager to get D.S. to the table as ever, clamoring to try the Arachnids this time or the Birds that time. That’s the thing about variable player powers, whether they’re the mind-blowing divergence between the Atreides and the Bene Gesserit in Dune, or the more nuanced differences between the Egyptians and the Russians in the new Sid Meier’s Civ, they always keep you coming back for more. What if I try this other power this time, or the same power again but try to use it in this different way? Dominant Species is a roller coaster and you have to be willing to go along for the ride to some extent. Players seeking complete control over their fate need not apply. But it’s engrossing to watch the game to develop, to watch the board morph as the landscape grows, the elements shift, and the tundra spreads. The theme is there, really there, but you have to be willing to look for it and embrace it. There are no sculpted miniatures or lush artwork to smack you over the head with the theme, but there is the subtle interplay of Adaptation and Regression, or Abundance and Wasteland, along with the development of the elements on the map that tends towards sunnier or wetter regions in which different species thrive. These create an atmosphere that players can’t necessarily appreciate until they’ve gained a solid familiarity with the game, enough to be able to look past the complexity of the rules and see the experience underneath, to understand that experience on an instinctive level at which the rules cease to be rules, and become simply the sensible boundaries that are right where you’d expect them to be. CREAM OF THE CROP: The second grouping of games is a bit bigger and includes all of the games that I think are very good to great. These are games that I would be happy to play just about any time, but unlike Dominant Species, don’t seem like games that I’ll necessarily be thinking about or playing many years from now. Nonetheless, they’re a solid crop of well-designed, interesting games, each of which I’ve played a number of times and they’ve held up to repeated plays and in most cases improved with repeated plays – always a good sign. Antics! – The Lamont brothers’ seventh published game is their best one yet and my second favorite game from 2010. 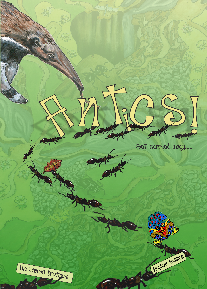 Antics is my silver medalist in a fine year of gaming, emerging as the runner-up in a crowded field of contenders. After 4 plays, I’m convinced that this is a game well worth repeatedly playing. I was skeptical at first when the designers proclaimed that the game would feature a new mechanic, but the ant-hill mechanic is in fact the fascinating and innovative heart of this game. While vaguely reminiscent of Java or Taluva, it takes the idea to a whole new level – excuse the pun – and really makes you think about how you arrange your tiles. The way in which each player’s ant hill develops differently makes this an intriguing game that has kept me coming back to explore. The fixed map and the distracting artwork are a shame, but I’ve come to the conclusion that I can easily overlook these in favor of the game’s strengths. I also still question whether the end-game scoring system could be tweaked to improve the game slightly, but don’t have enough experience to really say for sure. What I do know is that Antics provides a unique, engaging, and entertaining experience with a nice level of interactivity and excellent pacing. The game ends leaving you wanting just a bit more, an addictive trait indeed. 20th Century – Vladimir Suchy just keeps getting better and better, improving first with Shipyard and then even more with 20th Century. Next up is Last Will at Essen 2011 (which I’ll discuss in a forthcoming article), which looks to be even better than his first few outings. Sticking with the here and now though, 20th Century is my bronze medalist for 2010. I think of this game as an unexpected amalgam of Alhambra with Through the Ages and Antiquity. Players are buying tiles to build up their own area, which provide money, science, and culture each turn that is tracked on a chart, all the while fighting against garbage and pollution that are piling up. As long as you don’t mind plentiful auctions, it works nicely and comes together in a very solid design that persistently presents you with tough decisions to make. Sun Sea & Sand – Corne van Moorsel has designed a mixed bag of games, with some I’ve loved such as StreetSoccer and Factory Fun, and some not so much such as Powerboats and BasketBoss, but Sun Sea & Sand definitely falls in the former camp. Six months ago I would have said that Sun Sea & Sand was my #2 game of 2010 just behind Dominant Species, but having played it 9 times now, it has dropped off slightly. As a game with a random setup but no in-game luck, it appears to show signs of getting a bit stale. Still though, the theme, which did nothing for me upon reading about the game originally, is actually tied in very nicely with the mechanics and components. The whole package quickly won me over with its remarkably well-integrated tripod of mechanics, theme, and components. I’m not sure if my interest will have legs past 15 plays or so, but I hope so because it certainly has been enjoyable to explore thus far. First Train to Nuremberg – Rounding out the top five is the cheating entry of First Train to Nuremberg. Last Train to Wensleydale was a nominee for my Game of the Year for 2009, with the subtitle: “Wallace Innovates Again.” How ironic to give essentially the same game another nod for 2010! But I figure many people might have missed Wensleydale the first time around and it’s definitely worth checking out this game now that it is more widely available, in a better version now too. Basically my love of Wensleydale stems from the fact that it is a train-themed game that feels very different from just about any other train-themed game. It’s a great break from figuring out six-length deliveries in Age of Steam and is much more intuitive than Chicago Express. The game focuses on its strong suit of short-term tactical decisions through the management of five different curencies, all of which can be used for multiple purposes. You have the pleasure of balancing your investment cubes (used for buying track and bidding in auctions), white influence (used for track building turn order and eminent domain to kick obstinate farmers out of key territory), brown influence (used for shipping turn order and purchasing trains), and red & green influence (used for connecting to major cities and selling track). It’s a tricky balancing act and you never seem to have enough of one crucial currency at the right time, and a surplus of another type that you don’t need and can’t use. After 9 plays, I continue to thoroughly enjoy exploring this game. It’s not for everyone, which I’ve learned the hard way from teaching it to a wide variety of people, but it is a game for those who tend to enjoy Wallace’s quirky designs. GOOD GAMES: The third category is a large grouping of the games from 2010 that I thought were good. As with the entire list, this category is ranked from top to bottom, with a fairly large spread within the category, but all of these are games I’ll generally be glad to play if someone suggests them. They’re not games that I see myself usually clamoring to play like the ones above, but they’re not ones I’ll avoid like many you’ll find discussed a bit further down. This is the last category of games that I might purchase. They’re not definite buys, but some of them I might buy if I think they fill a particular niche in my collection or if I think a frequent opponent would enjoy them. Honorable mention: String Railway, which would have belonged near the top of this category if it had been released in 2010. I could have sworn it was a 2010 game, but apparently it was actually released in 2009, who knew. I tried it for the first time shortly after Essen 2010 and thoroughly enjoyed the game a couple times. I certainly hope that a domestic publisher picks it up. 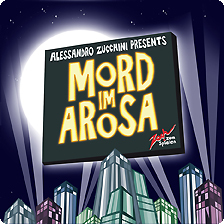 Mord im Arosa – The best game in the group and one that I’m extremely tempted to bump into the group above. Mord im Arosa really is enjoyable and something I’ve been very happy to play all 3 times that I’ve had the opportunity. I describe it as a calm version of Igloo Pop (a frenetic listening game that I adore). This is the murder mystery reincarnation of that frantic igloo shaking affair. I’ve put the game at the top of this grouping rather than at the bottom of the higher category because: (a) I’m afraid the novelty may wear off after a few more plays; and (b) I have a slight bias against lighter games that prevents me from thinking of them as great for some inexplicable reason. I try to fight it, but it’s hard to overcome when comparing complexly inter-woven three-hour tapestries with silly twenty-minute diversions. Yet I think I’ve overcome it to some extent by at least ranking this above Sid Meier’s Civ and Luna. Sid Meier’s Civilization – This is the game that I like for the strange reason that it’s absolutely nothing like Through the Ages, which is one of my all-time favorite games. I love that there is another 2.5 hour civilization game that plays completely differently than my favorite civilization game. Sid Meier’s Civ feels more like Antiquity to me than Through the Ages, with it’s four victory conditions and mid-game map clashes. Let’s get my issues out of the way though: (1) the culture cards are more unbalanced than they have any right to be; divergence is fine, but the level of disparity is excessive; and (2) the strength 1, 2, and 3 units are annoying, if necessary, although mitigated by the low standard deviation, but the weakness following the unit through upgrades is frustrating and unnecessary. I like that I’ve seen technology, military, and economic victories in my 6 plays, but would hope to see a culture victory some day – that trade cost gets painful in the upper echelon. It’s a good game and as with Game of Thrones, Twilight Imperium, and all the rest, I’m hopeful that an expansion will make it even better. Luna – The game that’s growing on me and clearly wins the “most improved” award from first to second play. The first draft of this article had Luna ranked about fifteen games lower down the list. Thankfully I’ve recently played it a second and third time, and am now eager for a fourth play as soon as possible. Thus, I’ve bumped it way, way up. This game is an incremental affair of performing minuscule action after minuscule action to build towards the larger goal of earning points and screwing your opponents. It is surely convoluted and obtuse, but buried in Luna’s menu layers of actions is an interactive game with wonderful time pressure and tension. There’s never enough time to accomplish everything you want and figuring out your priorities is painstaking, in a good way. 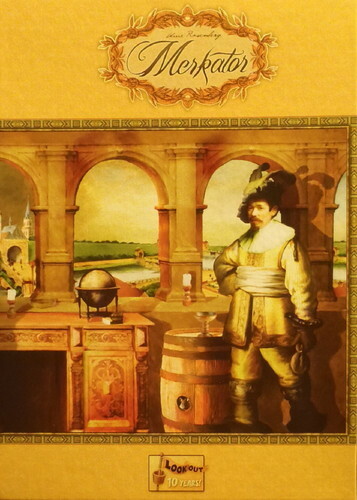 Hansa Teutonica: East Expansion – Hansa Teutonica was one of my favorite games of 2009 and the East Expansion is a solid addition. As a long-time fan of new maps, I may have been bound to like the East Expansion. But as objectively as possible, I really do think that this new map adds some fascinating twists to the gameplay without diverging too far from the original. After 3 outings in the east, this seems like an obvious must-have for any fan of the game. Dixit 2 – How could more Dixit cards not be a good thing? This is such a good expansion that it crosses over from good to necessary. The game cries out for the added variety of an additional 84 cards of luscious artwork. If your set of Dixit is not paired with a copy of Dixit 2 then you are guilty of Dixit abuse and should have your copy of Dixit taken away. It is so. Founding Fathers – Better than 1960, not as good as Twilight Struggle. A fair comparison? No, but an inevitable one. The scoring system is clever and the de facto shifting alliances from round to round are devious. I much prefer it with three or four players over five players, but maybe that’s just my inner control freak talking. Cappel’s artwork is gorgeous as ever, although the card backs are over-saturated, which is sometimes an issue because the information on the back of the cards is important for once. Another interesting design to be sure and one that my four plays so far have just begun to scratch the surface of. London – On the other hand, 7 plays may have scratched too deep on London – Martin Wallace’s foray into the world of card games masquerading as a board game. London has the feeling of San Juan or Race for the Galaxy as players must similarly pay to play cards by discarding other cards from their hand. However, this time the cards you pay with become available to opponents in a draw pool. The cards have various icons and abilities as in other modern card games, but they boil down to essentially earning you money and victory points. The theme of rebuilding London after the Great Fire is actually somewhat present in the gameplay and the cards representing well-known sites in London is a nice bonus. Three players is definitely the sweet spot for London. With two players there’s too much rinse and repeat repetition and with four players there is an intolerable amount of downtime between turns. The biggest issue I have with the game is the predictable cyclical nature of it. I don’t think this becomes entirely apparent until after three or four plays, but now I find myself seeking ways to break out of it just for the sake of seeing something new. You get cards (ideally by buying a district, or just take three cards if you can’t afford a district and don’t want to take a loan), then you play cards, then you run your city. Then you do it all again and again and again. To mix it up you might take cards twice if you don’t like the cards you got the first time, discard a few (down to the hand limit of 9), then play cards and run your city… exciting stuff. I’m overstating my point though because it actually is a game I enjoy, but it’s getting a bit too repetitive and I fear it may suffer the same stale fate as St. Petersburg. The repetitiveness of the game is exaggerated with two players because the deck (which is the game clock) is the same size regardless of the number of players and thus you get more turns in a two-player game and more time to notice that you’re just doing the same few steps over and over. The game is a remarkably solitaire experience (no matter how many players are involved). This is far beyond the supposedly solitaire nature of games like Princes of Florence or Agricola, which are not at all solitaire in my mind. This is truly a lonely sort of game. Consequently, adding a fourth player contributes absolutely nothing positive to the game and just makes it take longer between your turns, when you might as well get up and walk around the room to stretch your legs. Thus, three players is the ideal number in my experience and since the game might get old after only a handful of plays, I’d encourage you to make the most of those plays and make sure you sit down to them with the right number of people. Hanabi & Ikebana – There is no sensible way to rate or rank a game that is two games, especially two games this different. Hanabi is a very clever and difficult cooperative game of giving clues to your partners to help them figure out what cards are in their hand, which they hold facing away from themselves. Ikebana is a competitive semi-blind card-drafting game of creating pairs and straights with a large helping of push-your-luck. I appreciate the fireworks of the former, but am struggling to find the beauty of the flowers in the latter. Forbidden Island – A friend wonderfully described this as the emotional version of Pandemic. Where Pandemic is an intellectual and analytical affair, Forbidden Island is the Matt Leacock game that gets your blood pumping and your heart rate up a bit. Yes, it’s a simplified Pandemic for a wider audience, but it’s more than that. As the island shrinks, the pressure mounts, physically, tangibly. It’s right there in front of you, staring you in the face, and smacking you over the head with your impending doom. Travel Blog – Another game that was much more enjoyable in practice than it sounded like from reading about it. Reading about a geography game did not have me jumping out of my chair clamoring to play. But the game itself is a riot, especially with people who know very little geography, like myself. The game allows you to play on either a map of the U.S. or Europe. The game proceeds through a number of rounds with different scoring conditions, but essentially a random state or country card is flipped up and a number of other states or countries are then flipped up. You need to quickly pick the one that is closest (or satisfies some other geographical condition depending on the round). Once all players have simultaneously and rapidly decided, the hilarity ensues as the results are tallied. Wars of the Roses – A faux-partnership game, a la Peter Struijf’s Krakow 1325 AD. I really like this concept of a partnership game where you have to work with your partner but also be suspicious of his or her attempts to subvert you. Wars of the Roses also reminds me vaguely of Hammer of the Scots because of the noble switching sides element, although they don’t have to be beaten into submission this time around, and can be bribed for the right price. Rounding out the odd trio of comparisons is Wallenstein due to the heavy element of simultaneous action selection for the movement of units and attacking your neighbors. The non-partnership, partnership aspect was the key to the game for me. Another plus is the way it starts off fairly simply and the complexity grows over the course of the game as treasuries build up and units are deployed, increasing the range of options significantly later in the game. Hope you enjoy picturing the strange love child of Krakow 1325, Hammer of the Scots, and Wallenstein. Fresco – Fresco is one of those classic German-style games. Unlike many in this mold though (such as Jerusalem below which comes to mind), Fresco still manages to feel fresh while feeling familiar. The mechanics have something novel to offer and integrate fairly well with the theme. It’s not a remarkable game in any way, but a solid one. As others have said before though, make sure to play with the “advanced” modules that come with the game because they are what really makes the game engaging and the decisions interesting. Glen More – Matthias Cramer burst onto the scene with Glen More and is following it up with a pair of subsequent releases in 2011. The Thebes time track-esque tile selection mechanic of Glen More was clever and the scoring system was similarly interesting. The game does not shine with the minimum or maximum number of players, but in the middle sweet spot it hits its stride and makes for an entertaining and different enough tile layer. Firenze – The better Andreas Steding game of 2010 to be sure. Neither of his 2010 releases can compare to 2009’s Hansa Teutonica of course, but where Norenberc (discussed below) feels bland and drags on, Firenze has a nice pace to it and does not immediately feel exactly like anything before. It’s a tower building game, but does not feel like the many other tower building games to date. The varying quantities and values of the colored blocks, the (thematically strange) rule that you must always add to a tower or else it crumbles, and the repetition of the action cards are all good points of the game. I don’t think it’s worth the effort of pasting up a German copy, but once a domestic version is available it’s worth checking out. Geistesblitz – Jungle Speed meets Set. All of the potential for physical injury of Jungle Speed combined with all of the potential for mental injury of Set. How could that be a bad thing? Key Market – Everything you need to know about Key Market to decide if it’s a game for you is contained in Richard’s GeekList. It is a very solid design and another worthy entry in the Key-series. As always, the artwork by Juliet Breese is fantastic – truly above and beyond. The game itself has far more going on than I can hope to capture here, but suffice it to say that it obviously fits nestled in here between Geistesblitz and BITS, which of course makes perfect sense. BITS – Better than FITS. This time around players are adding two-square blocks of varying colors to try to make different shapes as the colors are arranged. The game is played over four rounds with each round adding a new scoring rule. The increasing complexity is a good call and the quick divergence among the players based on the varying starting tiles is a good addition. Just be wary of being the tile drawer and not selecting what someone is looking for, lest you incur the terrible wrath of your fellow players. Defenders of the Realm – Pandemic’s fantasy-themed cousin was a fun romp. It’s hard to rate the game particularly highly since it borrows so heavily from Pandemic and Forbidden Island, but it’s also hard to rate the game too low since it is undeniably fun. All of the dice made it easier play quickly because there was less purpose in plotting out every move carefully, but the unfamiliar fantasy map made it bog down when compared to the Pandemic world map (although I realize this problem would be alleviated with sufficient plays). The unpredictable march of the bosses that need to be defeated (i.e., diseases that need to be cured) was a bit frustrating, but it certainly make for a tense affair when you really have little idea how close to defeat you are. Not a game I see getting nearly the 50+ plays I’ve put into Pandemic, but a fun twist on Leacock’s brilliant mechanics. Navegador – From here on out the games in this category might just as well have gone in the category below. It was hard to find the dividing line, but there was something about Navegador and Glenn’s Gallery that inspired me to situate the dividing line just below them. I have individual issues with each that keep me from really adoring either of them, but on the whole I think their redeeming qualities make them generally good games from 2010. My concerns with Navegador are already described at the end of the Opinionated Gamers review of the game. In the end though it may just suffer from being no Imperial. Perhaps there’s only room in my heart for one rondel game. Glenn’s Gallery – A poor imitation of Members Only. A true reprint of Members Only would be welcome indeed, but this sad attempt at bringing back that classic is unfortunate. The graphic design and misprints tarnish what could have been a welcome reimplementation. OKAY GAMES: This fourth category out of seven total categories makes up the middle bunch. With three groupings above and three below, these are the games that were decent. They weren’t good, but they weren’t bad. They’re generally games that I enjoyed somewhat, but had issues with. I’ll try to put those issues or reservations into words below wherever possible. I should also note that given that this is my average grouping, a number of these are games that I only played once or twice and could go up or down upon further plays. When I can’t entirely make up my mind about a game upon first blush, it ends up in this limbo where it’s definitely not something I’m going to purchase, but also not something that I’ll shun. To put it simply, it was okay. 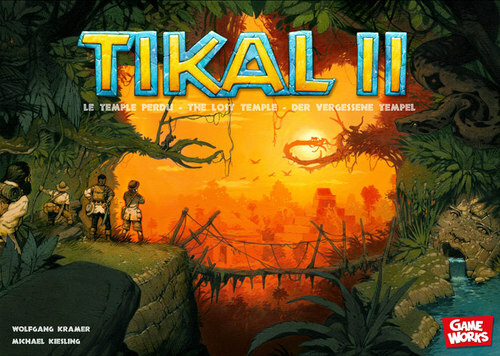 Tikal II – The game that actually has less in common with Tikal than many other games (like Mexica and Java of course). I suppose this fits with the trend of branding unrelated games to ride the success of others (e.g., Power Grid: Factory Manager and Havana), although it seems from my unscientific discussions with a random assortment of people to backfire as much, if not more frequently, by disappointing people when they find out these “sequels” have nothing to do with their namesakes. Tikal II is at the top of this group because it had an interesting action selection method and diverse scoring methods, both of which tended to present difficult decisions. However, there was nothing in the game that grabbed me or the other players, and I found the board difficult to read, which made planning movement tough and frustrating. Troyes – The inevitable “clever use of dice game” that took Essen 2010 by storm (following in the grand tradition of Yspahan, Macao, and the like). Troyes was indeed clever, but also a bit disappointing. I’d still be happy to play it again, but my two issues were: (a) players could not effectively plan on other people’s turn because your plans are very often disrupted, which leads to notable downtime even for normally fast players; and (b) secret scoring cards are dealt to each player at the start with a few put back in the box, all cards are revealed at the end and scored for all players, but you only know your own, and don’t know which 3 out of the other 5 will score. I might prefer to reveal the scoring cards halfway through the game like how players must make bonus scoring selections partway through Shipyard. 51st State – Winner of the “most desperately needs a player aid” game. Convoluted is the adjective that comes racing to mind. More icons than Race for the Galaxy is another characteristic worth mentioning. An action menu list a mile long is also frustrating at first. 51st State shows promise after a couple plays, but is remarkably difficult to play correctly and is a game that you have to slog through the first few times. I’ve talked to many people who had similar experiences working – the best verb surely – their way through this game and never really feeling they had everything right. It’s possible this one will shine for those that climb their way up the steep learning curve, but be ready for a tough climb. Norenberc – A fairly run-of-the-mill stock market game that I seem to actually like more than just about anyone else I talk to. The game shares a noteworthy trait with Hansa Teutonica in that both provide a wide variety of end game scoring possibilities and allow players to ignore some and specialize in others if they like. Buying low and selling high is ultimately the goal, but the ways in which you can make that work for you are intriguing. I think the disappointment I’m sensing from others is overblown and the game may be worth exploring further, but finding the opportunity to do that at this stage may be difficult. Norenberc does lack that fresh feeling that Hansa Teutonica had, but I’m not ready to write it off yet as I got the feeling there might something worthwhile lurking there. Asara – Theoretically a Spiel des Jahres contender if it’s not too complex for the jury these days and if 7 Wonders doesn’t run away with it. I need to play Asara again with the advanced rules, so for now it’s stuck in this limbo from which it might hopefully emerge some day. The twist on worker placement by using cards of varying colors and the first to play in a given area setting the valid suit for that round is clever, although the ability to play two cards as a wild undermines that tension a bit. I understand it’s inefficient to do so and it’s likely necessary to prevent players from getting blocked out entirely, but it makes it certainly less nerve wracking when your plans can’t be stopped, but only made less efficient. I know efficiency is the name of the game, but it’s surely less satisfying to block your opponents by simply making them less efficient. Poseidon – A good economic game, but why oh why is there no mechanism for controlling turn order. Yes, Last Train to Wensleydale might go overboard in turn order precision, but Poseidon desperately feels like it needs some way for the players to impact turn order. The order in which plays can buy or sell shares is critical due to limited availability, but is fairly random and strangely relies on seating order. For such an involved game, it boggles the mind. Vinhos – Talk about an involved game. As a fan of Die Macher, Through the Ages, and Antiquity, this one blows those out of the water. And for what reason? It’s not immediately apparent. Obviously a game that I need to play again, but the first impression is that it could do with some serious pruning. As in taking an Exacto knife to the board and lopping off half the charts and mechanics. Ascension – Better than Dominion and Puzzle Strike, but not as good as Thunderstone. That coming from someone entirely bored by the deck-building craze. I’m not sure why I keep trying them, but so be it. I could see how the random pool of cards in Ascension could drive Dominion traditionalists crazy, but I appreciated how it forced players to adapt and not come in with a predetermined course. In the end though, I think Thunderstone emerges as my preferred deck-builder thus far due to its much more prevalent theme and its persistent ability to trash cards to prune your deck. Le Havre: Le Grand Hameau – More cards for Uwe Rosenberg’s best game, what’s not to like? After 16 plays of Le Havre, I’m really not sure the game needs more special buildings since there are already so many and you use so few in any given game, but I can’t resist more variety so Le Grand Hameau has to be a good thing. It’s down here in the “okay” category because it seems like one of the least necessary expansions ever, even if I obviously purchased it at the first opportunity. Junta: Viva el Presidente – Way more fun than a simple dice game has any right to be. This one would be highly dependent on your group of players though. Without opponents that get into the spirit of the silliness of this game, it would fall completely flat. The game is not only utterly random in its mechanics, but also in the whims of the players. That doesn’t mean that it’s not fun, just that’s awfully fragile. Space Hulk: Death Angel – A strange little cooperative card-game that is actually fairly involved. The strangest thing is the way the players are lined up in a row and generally stuck in single file and facing a particular direction. This can make it frustrating when enemies pop out at the wrong place in the line or from the wrong direction. But it seems like one of those cooperative games where you are meant to take pleasure in rolling a big boulder up a hill only to be inevitably crushed as it comes back to flatten you. The requirement to never pick the same action twice in a row is another mechanic that seems artificial, but does a good job of making the players really think about their decisions and what horrors might be on the horizon. Labyrinth: The War on Terror – The game that wishes it was Twilight Struggle. Sadly it takes the randomness of Twilight Struggle and multiples it many times over. I wanted to like Labyrinth. I had it waiting in an online shopping cart before I played a friend’s copy. Card-driven games like this always take time to grow on me due to the eventual familiarity with the cards, but this one did not show promise. The radical asymmetry of the player positions is great, but the mechanics constrain the players options in a frustrating way, making your best move often feel like a disappointing waste of time. Many of your ploys and gambits in this game don’t feel like your building towards anything or like there’s any crescendo or ark, but rather like your simply taking a shot in the dark at the remote possibility of success. Innovation – Honestly, I have very little idea what to think of this game. After a couple plays, it was fun but seemed extraordinarily chaotic. I know I wouldn’t want to play it with four players ever. With two players it was enjoyable for it’s fairly silly back-and-forth take-that nature. By the time my turn came though, the entire situation of the game could have changed radically for better or worse. Washington’s War – I know I should venerate the reimplementation of one of the obvious inspirations for Twilight Struggle, but perhaps it’s the same veneration a fan of modern video games ought to show for Pong and Space Invaders. The kind of veneration that puts the predecessor behind glass for all to admire… from a distance. Black Friday – The best Friese game in recent memory. Black Friday was actually somewhat entertaining, even if it is another “spreadsheet game.” I would think the randomness of the draw from the bag would be off-putting to traditional fans of this sort of calculation heavy game, but for me at least it spices it up and justifies my refusal to actually do any calculations. Playing this sort of game by your gut is generally a recipe for disaster, at least in terms of results, but it sure makes it more enjoyable, especially when your irrational decisions confound your more precise opponents. MEH: Now we’re into the three below average categories. This first below average category are the games that are not for me. They don’t inspire a terrible wrath like we’ll find a bit later on, but rather they simply inspire a “meh” reaction — a “no thanks” reaction (and not in the enjoyable Thorsten Gimmler sense). Each of them manages to elicit this shrug in its own unique way. 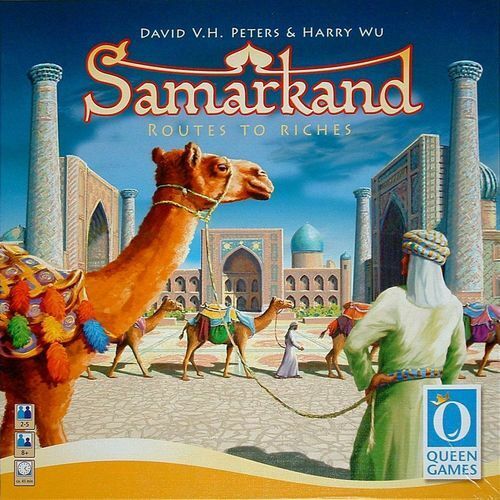 Samarkand – Queen managed to put together a pretty game with straightforward rules and what appear like interesting decisions. But after a couple plays, I’m convinced those decisions are essentially meaningless. The card draws seem to me to determine the result entirely with the players ultimately having no role. Offrandes – Auctions, auctions, then more auctions. If you’re interested in doing nothing but bidding for over an hour then go right ahead, but I tend to prefer my auctions paired with another mechanic or two to keep things interesting. At least this game of appealing to the Gods of Olympus beat the massive 2011 glut of Olympian games to market. Famiglia – A quick Friese card game of collecting gangsters by rolling up less powerful gangsters into more powerful ones worth more points. Each of the different suits also has a special ability that gets more powerful. After a couple plays though, like Samarkand, I got the feeling that the cards play you more than you playing the cards. Especially at the beginning of the game where you’re powerless to do anything but grab the weakest gangsters. Those early “decisions” send you down a path of the game’s choosing. The decisions eventually begin to take shape, but it’s a quick game and by that point your mind has already been made up for you for the most part. Seven Wonders – It appears I’m just about alone on this one, but I find Seven Wonders remarkably boring. I know it’s a quick game but not quick enough considering what it offers. Any of this new wave of card games that people seem to frequently prize for their speed (like Seven Wonders or Dominion), I just don’t get. If one of the shining virtues of a game is that it’s quick, then the quickest thing would just be to not play it at all. I’d just rather play a game with some substance and meat on its bones; one where I don’t find myself yawning halfway through. Cat & Chocolate – A silly Japanese game if there ever was one – and of course there are countless. This one has players explaining how they’d use assorted household items from their hand of cards to avoid a randomly selected haunted house style tragedy. It’s an amusing late night game if a bit arbitrary and zany. The wacky translations are one of the best parts. Make sure to only play with a group that could really get into the silly mood of the game though. Sneaks & Snitches – A card game that felt a lot like Adel Verpflichtet (a.k.a. Hoity Toity) to me. That’s not a good thing for me since that’s not my kind of game, but given all the love for Alea #5 out there, I’d think those same fans might enjoy this slimmed down card game version. It’s one of those Princess Bride style blind guessing games where you clearly can’t choose the wine in front of yourself or in front of your opponent, but must make a choice somehow with insufficient information to go on. For a group of familiar players that revel in trying to read each other’s intentions, it would certainly work much better. Merchants & Marauders – Like civ-lite, it seems as if a great pirate game is another elusive genre. This one is certainly better than Pirate’s Cove because you’re not subject to the whims of hidden destination selection this time around, but you are certainly subject to the whims of the dice and cards. The idea of choosing your path between being a peaceful merchant or an aggressive marauder is an interesting idea, reminiscent of a number of interesting video games of late where your choices determine your path and can come back to haunt you. In practice though, my concern is that the ratio of complexity to randomness seemed off. I don’t mind a high level of rules complexity with a lower level of randomness, or a high level of randomness with less convoluted and intricate rules, but this one seemed to have a good deal of both. Perhaps the right balance for some, but not for me. Last Night on Earth: Survival of the Fittest & Hero Pack 1 – This entry may be cheating a bit since Last Night on Earth came out in 2007, but I didn’t try it until 2010. Since I tried it with these two expansions, both of which were released in 2010, then it seems just as eligible as the expansions above I suppose. It’s an opportunity to praise Last Night on Earth as a thematic, evocative, asymmetric zombie game that did nothing for me. The endless, slow creep of the zombies was well represented in the game and the thematic weapon cards struck the right chord, but I think all of that can only really be appreciated by a fan of the genre. As someone with no interest in zombie movies or the like, I was the wrong audience, but I think I can tell that this would be way up the list for the right crowd. Funfair – A collection of mini-games that is hard to rate because it was honestly very fun. In a convention setting it’s a perfect game to try at a late hour with group of like-minded and rules weary folks. However, after a couple plays, it seems all too clear that the game would get old and wear out its welcome far too fast. It’s good for a laugh once or twice, but giving it a home would seem entirely overboard. The Speicherstadt – The Feld auction game that many in my game group are in love with, but I just can’t see what they’re seeing. I recognize the auctions feel somewhat unique and the game provides tough decisions. My complaint is hard to describe, but essentially it’s that the value of a single unit of currency is too high. There is not enough space within the currency for my tastes. The difference between paying two and paying three, for instance, is huge. It makes the bidding less interesting to me because it feels like there’s not enough room to maneuver. Maybe that constrained feeling is the point, but if it is then I’m missing it and happy to continue doing so. Castle Ravenloft – My complaint about Castle Ravenloft is that it’s not Descent. It is mini-Descent that is quicker and simpler, but the whole time I just kept wishing that I was playing Descent. I think this one just strips away too much in the interest of saving time and making the game more approachable. That might be fine for people who don’t want the complexity or don’t have the time, but for anyone who wants the best dungeon crawl, hack-n-slash game out there, then Ravenloft is honestly just a waste of time. UGH: This second to last category is reserved for those games that I found well-below average. These games were disappointing. Sure I’ll turn down the “MEH” games above if someone suggests them, but I’ll be more vehement when it comes to the “UGH” games, and you don’t want to see me vehement. K2 – I suppose Poland isn’t full of infallible game designs after all. They’ve brought us excellent games such as Stronghold and Neuroshima Hex, but others such as Witchcraft, K2, and 51st State leave something to be desired. 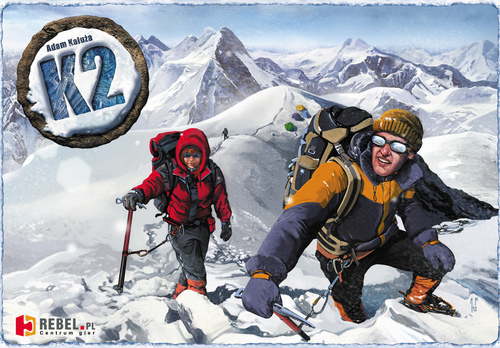 It’s nice that K2 includes both an easier and a harder side of the board, and also includes easier summer weather and harder winter weather, but even with the more challenging board and weather, the game is still fairly boring. The first two-thirds of the game is just pretty lame and uninteresting. The end of the game gets a bit more interesting, as long as the players haven’t dozed off by this point, but this is one mountain I think I’m done climbing. Great Fire of London 1666 – Where K2 exemplifies boredom, Great Fire of London exemplifies chaos. It’s principally an exercise in being randomly harmed by your opponents as your valuable secret objectives may be accidentally thwarted. The mechanics of the fire spreading were interesting, but the end result was a game that seemed pointless to put any mental energy into. Mr. Jack Pocket – Some have praised this as a great scaled down version of Mr. Jack, but I just don’t see much Mr. Jack in there at all. I’m a big fan of Mr. Jack, the Mr. Jack Extension, and Mr. Jack in New York, but the new Pocket version strips out too much to keep my interest. Most importantly, Mr. Jack Pocket eliminates the unique special abilities of each character. I had always found the hunt for clever ways to use those abilities to be one of the most interesting elements of the game. There is still some room for clever plays in Mr. Jack Pocket, but it felt like a much more mundane spatial puzzle to me without much in the way of flavor or intricacy. Takkie Kakkie – The “game” that is hilarious for the first 30 seconds, but sadly takes 15-20 minutes to complete. That first turn or two is great fun, but I can’t imagine playing it more than once unless you were always introducing it to new people to see their reaction. Jerusalem – This is El Grande lite, but not in a good way, with a bit of Kreta thrown in there (i.e., the Abbot unit, which is called a Bishop in Jerusalem), but also not in a good way. There were a few other familiar area majority mechanics mixed in a blender, such as of course the Province/Court distinction from countless games (e.g., El Grande, Louis XIV, Hansa Teutonica). Jerusalem reminded me of Wallace’s Toledo in that it worked but made no effort to set itself apart from the masses of other games. I particularly did not appreciate that the game seemed to inevitably end with all of the players just about tied and I managed to squeak out a victory for no particular reason. Like Power Grid (upon which I’ve expounded here and also here), the players are bound to end up tied more often than not with a tie breaker deciding the result, which is fine if it happens occasionally, but terribly unsatisfying when it’s the norm. Jerusalem was a game of putting cubes into regions to win pluralities so that you could earn more cubes, victory points, or money which was used shockingly to buy more cubes (and to be fair money was also used in an auction for turn order, which included special abilities on the turn order cards). I like plenty of area majority games, particularly El Grande, San Marco, Kreta, and Louis XIV, but at this point a game really needs to stand out to get a foothold in the genre, and Jerusalem did a wonderful job of blending in. Puzzle Strike – The game that is so much like Dominion that it makes Thunderstone feel like a distant cousin of Dominion. I used to think that Thunderstone was a Dominion clone, but now I see that you can do an even more precise job cloning the game that launched a thousand designers. The Helen of our time was certainly innovative, but it’s tiresome to sort through all of its descendants. I feel like someone needs to write another genealogy; someone probably already has. Puzzle Strike: Bag of Chips changed the components obviously (although only in a way Dominion fans had already come up with) and modified the rules slightly, but as far as the feel, terminology, and gameplay, it was truer to the parent than you could even imagine. Lords of Vegas – Dice, dice, dice, and more dice. So many dice, so much randomness, nearly total chaos. I suppose the mechanics fit the theme of developing casinos. It’s certainly the antithesis of the German-style Vegas Showdown, but it’s not a game I see myself ever wanting to play again. I think there’s a reason people only play craps when there’s money on the line and this is essentially gambling with no stakes. Catacombs – The lovechild of two great games – Crokinole and Descent – sadly turned out to be a fairly poor result. Catacombs is a game where one player is the overseer controlling all of the monsters on the dungeon board and the rest of the players are a team controlling heroes traveling through the dungeon to ultimately defeat a boss. All of the units are Crokinole discs of various sizes that the players flick around to attack each other. The game is very interesting in theory, but in practice the experience is compromised by the component quality, which is rather poor. If you’re accustomed at all to a quality Crokinole board then flicking discs on these flimsy boards with spaces for pillars that are frequently popping out won’t be nearly as satisfying. The game rules are also more simplistic than I’d like, losing a lot of the depth of Descent, by removing all of the nuance from movement, combat, and special abilities. I suppose it’s more like the lovechild of Crokinole and Castle Ravenloft in that way. I’d still like to try Taktika some day, another combat-oriented flicking game, but for now I’m still searching for the game that expertly blends Crokinole and combat. BOTTOM OF THE BARREL: The pits. The dregs. The misery. Despair all ye who enter here. Alright that’s a bit dramatic, but such is life when you set out to rank 63 games; you must inevitably find your way to the bottom of the ladder. And so we’ve arrived at the worst of the worst. Such a long way we’ve come from the glory of Dominant Species, the pleasant quirkiness of Antics, and the accomplishments of 20th Centuruy, just to give you a quick reminder of what we’re missing down here at this end of the spectrum. Alas, if those are the podium medalists of 2010, then these are their antithesis. Merkator – Before its release Merkator was being touted as Le Havre on steroids. Le Havre on steroids this most decidedly is not. More like Le Havre on ambien. What Merkator really felt like was Traders of Genoa with the heart of the game removed. Players are simply acquiring “contracts” dictating a location on the board and a set of colored cubes that need to be delivered. You get the cubes, go to the place, and receive some money that you use to buy victory points. Then you do it again, and again, and again. Rosenberg’s Le Havre is great and Agricola is good, but Merkator is just utterly unremarkable. I suppose it’s not bad per se because it functions relatively smoothly, but Merkator is a game that steadfastly refuses to stand out in any way. Furstenfeld – Yet another bland spreadsheet game. Not as bad as Power Grid: Factory Manager (although that’s an exceedingly tough bar to reach), but it still doesn’t really qualify as a game in my book when it has been distilled this far down to simply doing computations. I fail to see how this can be remotely fun or enjoyable, but since games like this keep coming out year after year then I know someone out there must love them, and to each his own. Shine on you spreadsheet loving gamers. Felinia – Slapping a furry animal on the cover of your game may win you the Spiel des Jahres, but it’s not going to win me over to this tedious and mundane affair. It’s a shame that Schacht’s Boss Kito captured my worst game of the year “award” in 2008 and Felinia suffers the same fate in 2010, considering how great Hansa, China, and Coloretto are. Let’s just hope that the SDJ jury isn’t as enamored with cats as they are with panda bears. This game of humanoid cats shipping clocks and other random goods around is unbelievably inane. I suppose the experience wasn’t quite as unpleasant as Merkator or Furstenfeld, but the ridiculousness of the game combined with its tired and stale gameplay makes it solid choice for this last slot. Any of these games could have reasonably ended up down here though and together they form a nice little triumvirate of 2010 stinkers. And so that concludes our tour of the seven neighborhoods of 2010 games. A fine year in gaming with a wide swath of games, something to please everyone I imagine, and certainly plenty to please me. With that I’ll induct Chad Jensen into the illustrious halls of my personal game of the year winners, joining the recent likes of Trzewiczek, Bauza, Chvatil, Gerdts, and Dorra, along with the the more ancient likes of Kramer, Knizia, Moon, and Wallace. A fine pantheon it is, although noticeably missing Dorn who has been runner-up in four different years and Schmiel who essentially predates the “award.” Dominant Species almost feels like a game that was designed with me and my tastes particularly in mind. The level to which I am enthralled when playing it is unrivaled by anything else from 2010, making it one of the easiest years to pick a winner in recent memory. I look forward to many more games of Dominant Species in the years to come as I continue to run my amphibians, birds, insects, and the rest of the gang away from the ominously spreading glaciers of 90,000 BC. This entry was posted in Best Of and tagged 20th Century, Antics, Dominant Species. Bookmark the permalink. And five other games appear on two out of four lists: Asara, London, Luna, Sun Sea Sand, and Vinhos. It will be interesting to see how this shakes out as more lists are put up over the next week or so. Also interesting to see that none of the #1 games on any of the lists that ranked games has been repeated on anyone else’s list – Navegador, Telestrations, or Dominant Species. I wonder how long that trend of people’s top games being unique will continue. Very nice effort, Tom–I’m glad I set aside a couple of hours to read it all! :-) And man, if one of your worst games of the year is an “unremarkable” title like Merkator, this must have been one great year! As far as the disparity in our Top 10’s, I suspect this has as much to do with the huge number of games that come out each year as anything else. It’s not like there’s such a big difference in our tastes–I like most of the games in your top 25 that I’ve played. But given all the games released last year and the fact that there wasn’t a breakaway hit, I don’t think it’s too surprising that there isn’t a lot of overlap. Thanks Larry, although I’m not sure I properly conveyed my love for Dominant Species or my dislike of Merkator and the others down toward the bottom of the list. If the former doesn’t come across as a big hit in my mind and the latter comes across as just unremarkable, then I wasn’t extreme enough in my praise and loathing. I think Dominant Species is incredible, and the bottom few on the list are really pretty miserable. In my mind, it’s a very wide spectrum of fantastic, great, good, okay, fair, poor, and terrible games. I can certainly understand though that given the huge number of releases why overlap among us would be much fewer and further between than a decade ago when the pickings were slimmer. Tom, outstanding yearly review as usual. Thanks for taking to time to survey the entire field. You do a great job distilling you thoughts on games. The most interesting aspect of these lists, for me at least, is trying to appreciate why someone else liked games I disliked. And in your case, I also get to see why you disliked the games I liked. Your tastes and mine diverge greatly on many of these games, but I wholeheartedly endorse your choice for game of the year. Amazing game. My other 2010 favorites are ranked in your teens, 20s, 30s, 40s, and even a few that aren’t on your list at all. Thanks Josh! It was supposed to be a quick survey of the entire field, for a change of pace from what I usually do, but I guess I had a bit more to say than I realized. I did start to get a little sick of it after a while and so at various points tried to be more concise, but that impulse seemed to evaporate quickly… kind of like when you ask someone to speak up and they raise their voice for the next three words before forgetting and going back to the way things were. Anyway, now I’m curious, can’t leave it hanging like that, what were your favorites that weren’t on my list at all. Since this is all the 2010 games I played, I’m wondering what I missed entirely. Particularly since on my list of 71 games that I’ve never played but want to try, only 4 of them are from 2010 (i.e., Wok Star, Cleopatra’s Caboose, Stronghold: Undead, and Seeland). Something out there I need to add to that list? Geez, Tom, I hadn’t realized how far out of the Cult of the New I had fallen until reading your massive overview of 2010. I’ve played only a dozen of these 63 games and have little interest in trying most of the ones I haven’t played. And to mirror Mark and Jonathan, I can’t believe how wrong you are! Haggis, The Mines of Zavandor, Onirim. There really are too many new releases these days to attempt a comprehensive survey of everything that looks promising. Ten years ago, I was able to explore all the major new games, and many of the minor ones. These days, I have to do a lot more pre-judging of which games probably aren’t worth the time to try. Sure, I may miss out on a good one here or there. But mostly I’ll miss out on the bad ones and the average ones and the ones that don’t match my tastes. Going through your list of 63 games, I count at least 34 of them that I don’t plan to play – ever. Among those 34, there are only three cases where I feel like there’s a chance I’m missing something worthwhile: Sid Meier’s Civ, Navegador, and 51st State. Fun read, thanks Tom. I’ve played 28 of them, and will probably play another 10 before the year is out. Nice list Tom…I definitely agree with your first two items…although I would put Troyes higher than you do…that said, there are a number of games on your list that I’ll probably never play:)…My biggest regret is that DS gets very limited play in my group because of its length (although several of them really want to play it again). Interesting Josh. I’d heard of Haggis and sort of ignored it because people said it was like Tichu for fewer players, and not being a Tichu fan I figured I’d pass (personally I enjoy Was Sticht and Njet much more), but I had not really heard of the other two at all. Will have to investigate, thanks… because I didn’t try enough games from 2010 clearly. I still go on the foolhardy quest to try all of the major releases each year, although you’re right that it has become a fool’s errand in recent years with the flood of games… especially since one play is really not enough, but finding that second play opportunity can be tough, especially if fellow players were disenchanted the first time. I’ve been pleasantly surprised on a second play too many times though to turn one down for pretty much anything. I guess that’s sort of the opposite plan of your increased pre-judging… as I’m trying to do less post-judging, at least until I can get 2 plays in. Oh you really should try all three of those – Civ, Navegador, and 51st State. Civ I’d say don’t try with 4 players but with 2 or 3 to keep the length in check. Navegador is worth checking out and is a huge favorite with a few people in my group; just make sure to diversify from your neighbors when you pick your specialty. 51st State, really try to play with an expert and not learn on your own or with fellow novices. I think there may be something good buried there but it’s quite cleverly obscured by layers of dense fog. Thanks Doug! If you just try the top 30 or so, then I think you can safely ignore the rest of them… although many would disagree I’m sure. Thanks Garry! I’m amazed someone else has as eclectic taste to actually agree with both of my first two items. I figured that pairing might throw some people, but certainly glad to hear I’m not alone… despite what Jonathan, Mark, and Eric say. Although getting all three of them to agree on something is a feat I’ll cherish indeed. Have you tried DS with fewer players? I can see how it would go very long with 5 or 6 players, but with only 3 players I’ve been able to play in “just” 2.5 hours. I’ve played it with 2 and 4 players a few times, but really think I like it best with 3 to balance the length, downtime, and chaos. Good luck getting it to the table again soon! Great list. Great comments on what’s to like or not like. It doesn’t hurt that our tastes seem to match almost precisely, from what I can tell based on the games on the list I’ve played, including the monumental Dominant Species. So it’s very useful at least to me. Tom, I just noticed you said you’re not a Tichu fan. Given that our tastes seem to be so aligned, I gotta tell you to keep trying on Tichu. I’m pretty sure you’ll come around. It took me a year to get my current Tichu partner to come around. Tichu is the only game I rate a 10 besides Dominant Species. And for years Tichu was the only one. Thanks Curt. Glad to hear you enjoyed the article and amazed to hear there’s someone like-minded out there, given my (or should I say our) fairly idiosyncratic tastes. As for Tichu, I’ve played it around 20-25 times and it’s not that I dislike it, but just that I’d much rather play Njet or Was Sticht if the group is going to play a four-player trick-taking game. I don’t know if you’ve tried those two card games, but if not, I highly recommend them. Njet has a very interesting aspect of shifting partnerships and a lone winner, while Was Sticht has a unique reverse draft. I often get a bit tired of Tichu before one team reaches 1,000 but these two generally keep my interest throughout (although the stated 8 rounds for Njet may be a bit much).